In December, the 21st Century Cures Act was signed by President Obama, providing $1 billion over two years to address opioid addiction. 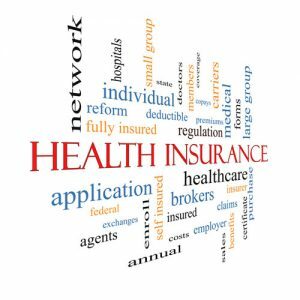 The law also provided $4.8 billion to the National Institutes of Health for research, such as for the “cancer moonshot.” However, the possibility that the Affordable Care Act (ACA) will be repealed creates great uncertainty about the future of treatment. The $1 billion will be provided by the Substance Abuse and Mental Health Services Administration (SAMHSA) via grants to states. Under the Cures Act, preference would go to states with the greatest unmet need. Applications for the funds are due from the states and territories by February 17, 2017. The National Association of State Alcohol and Drug Abuse Directors (NASADAD) released an analysis of the Cures Act that explains how the opioid grant program will work. The single state authority (SSA) that manages the Substance Abuse Prevention and Treatment (SAPT) block grant will implement the grants. NASADAD members are the SSAs from each state. According to the FOA, the Secretary of the Department of Health and Human Services (HHSwill give preference to states with an incidence or prevalence of opioid use disorders that is relatively higher than that in other states. Improving State prescription drug monitoring programs (PDMPs). Implementing prevention activities, and evaluating those activities to identify effective strategies to prevent opioid addiction. Training health care practitioners (e.g. best practices for prescribing opioids, pain management, recognizing potential cases of addiction, referral of patients to treatment programs, and overdose prevention). Supporting access to health care services, including those services provided by federally certified opioid treatment programs (OTPs) or other appropriate health care providers to treat substance use disorders. Other public health-related activities, as the state determines appropriate, related to addressing the opioid crisis within the State. A State receiving a grant to address opioids must submit a report to the Secretary that includes a description of how grant funds were expended in the preceding fiscal year, a description of grant activities, and the ultimate recipients of amounts provided to the State in the grant. 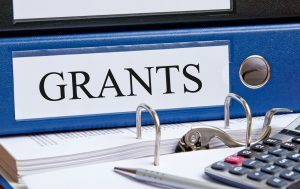 Grant funds will be subject to the same requirements as substance use disorder prevention and treatment programs under titles V and XIX of the Public Health Service Act. The Cures Act also amends the Public Health Service Act, adding an Assistant Secretary for Mental Health and Substance Use within the Department of Health and Human Services. This person would be appointed by the President with the consent of the Senate, and replaces the administrator position of SAMHSA. There would also be a Deputy Assistant Secretary for Mental Health and Substance Use, to be appointed by the Assistant Secretary. Currently, former SAMHSA administrator Kana Enomoto, MA, is the Deputy Assistant Secretary for Mental Health and Substance Use at HHS. The nominee for Department of Health and Human Services Secretary, Tom Price, MD, had not yet been confirmed at press time. Cures also amends the Public Health Service Act to create a Chief Medical Officer. This person would serve as a liaison between the Administration and providers of mental and substance use disorder prevention, treatment, and recovery services. Unlike some regulatory actions, which have been held up by the Trump administration pending review, Cures is a law and is not delayed. President Trump campaigned on a promise to repeal the ACA, something Congress has been trying to figure out how to do. The problem is that many health care systems, as well as people, now rely on two key aspects of the ACA: Medicaid expansion, and the marketplaces with subsidies to help lower income Americans purchase health insurance. With some 30 million people insured under the ACA, it will be difficult for President Trump to keep his promise that nobody will lose health care at the same time that the ACA is repealed. Also last month, the Congressional Budget Office (CBO) and the staff of the Joint Committee on Taxation (JCT) estimated the budgetary effects of H.R. 3762, the Restoring Americans’ Healthcare Freedom Reconciliation Act of 2015. This act would repeal portions of the ACA. The number of uninsured people would increase by 18 million in the first new plan year following enactment of the bill. It would increase to 27 million after elimination of the ACA’s expansion of Medicaid eligibility and elimination of subsidies for insurance purchased through the ACA marketplaces. The number of uninsured would further increase to 32 million in 2026. Premiums in the nongroup market (for individual policies purchased through the marketplaces or directly from insurers) would increase by 20% to 25%—relative to projections under current law—in the first new plan year after enactment. The increase would reach about 50% in the year after the Medicaid expansion and the marketplace subsidies have been eliminated. Premiums would approximately double by 2026. Repealing the ACA will cut treatment for substance use disorders so extensively that the Cures $1 billion will be little more than a bandage. Richard G. Frank, PhD, and Sherry Glied, PhD, wrote last month in The Hill that repealing just the coverage provisions for mental and substance use disorder in the ACA would cut at least $5.5 billion a year from the funds spent treating people with mental and substance use disorders. The CBO and Frank-Glied estimates do not even include the more recent suggestions from Congress that the Medicaid program be changed to block grants, which would cap benefits and result in even less access to treatment. For the CBO report, go to https://www.cbo.gov/publication/52371.